At this time of year, one not infrequently hears about Catholics or other Christians planning “seder meals” as part of their Lenten or Holy Week observances. To many, it seems like a good idea to reconnect with Jewish roots, but the purpose of this article is to demonstrate how wrong-headed this idea is, how it flirts with heresy, and what we might do differently if we’d like to do anything at all in this direction. Now that the Temple has been destroyed, Jews do not eat the Passover meal; instead, they eat the “Seder,” which is not a sacrificial meal. Orthodox Jews refuse even to eat lamb at a Seder because no sacrificial lamb is possible for them now. Note that when Moses and Elijah appeared with Jesus at the transfiguration, they were discussing Jesus’ “exodus” which he was to accomplish (Luke 9:31). Jesus’ passion and resurrection are the new exodus. Correspondingly, he gives his disciples a new Passover ritual to go with the new exodus. In this new Passover, Jesus is the lamb whose blood averts the angel of death; instead of Egypt, we are delivered from the state of sin and a heart inclined to evil (as represented by Pharaoh’s “hardened heart”). On Holy Thursday last year, a colleague of mine gave a talk before an evening Jewish-style meal. He explained that it does not make sense to celebrate a Seder Meal as a way to “reenact” the Last Supper. Historically, the Seder Meal was invented as a way to make up for the lack of the Passover Supper because there was no longer temple sacrifice after 70 AD. In other words, the Seder as now practiced postdates our Lord’s institution of the Eucharist, and is, in part, an ongoing sign that the Jews do not acknowledge Jesus as the Christ, the one Messiah and Savior of mankind, apart from whom there is no salvation. For these reasons, my colleague advocated a Passover-style dinner, not a Seder Meal. 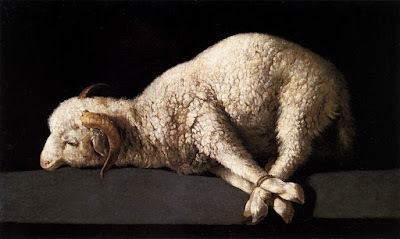 During this dinner, he commented on the different dishes at the tables, explained their Old Testament symbolism, and showed how their meaning was fulfilled in the sacrifice of the true unblemished Lamb, which is made present for us in the Sacrifice of the Mass. So much, then, for why a Seder Meal would be a totally incoherent thing for Christians to do. There is, moreover, this theological consideration: separating the Jewish meal from the act of animal sacrifice, as the Seder deliberately does, fundamentally confuses the actual symbolism of the Passover supper, and therefore bars any understanding of how this supper foreshadows the Passion. Among other things, the anthropological significance of Jesus Christ replacing the sacrifice of another by His own self-sacrifice is lost. Then, a practical consideration. A Seder meal is a currently practiced religious ritual for the Jews who do it. 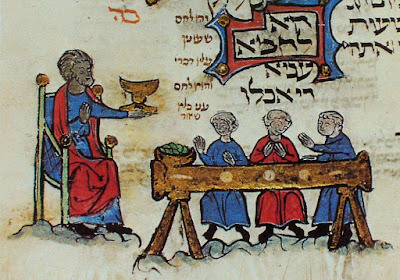 Hence, Catholics attending a Seder meal, even if no rabbi were present, would rightly be at a loss to know whether they were play-acting, going through an academic exercise, attempting to turn a Jewish custom into a Christian meditation, or even attempting to pray like Jews (as if we could momentarily function as people of a different religion). In short, it is not possible to simulate a Seder without implying that one is conducting a religious observance. In contrast, as we have shown, it is possible to serve a Passover-like meal for educational purposes, since the Jewish Passover, narrowly speaking, has not been observed as a religious ritual for close to 2,000 years. Such a meal can indeed be a welcome opportunity for sound catechesis about the Passion of our Lord and the Holy Sacrifice of the Mass.